In the 2 year period following the acquisition, rumors regarding Google's possible entrance into the mobile phone market were aplenty, but the confirmation didn't arrive until November 5th, 2007. On November 5th, 2007, exactly 3 years ago, Google announced the birth of Android as a platform. The Open Handset Alliance, which included Google and 34 of its partners was established on the same day in order to provide a business backbone for the new platform. A week later, on November 12th, 2007, the first public early look version of the Android SDK was released for developers to dig their hands into. At this point, Android itself was not yet open sourced. Now, this is the source for much confusion, so let me clarify this. On October 21st, 2008, Android went open, i.e. its source code was published on the AOSP (Android Open Source Project) site. It is not the date of birth, as some may think - it is simply the first public code release date. A day later, on October 22nd, 2008, the first Android phone - the T-Mobile G1, of course, became available for $179.99. I hope this clarifies any confusion and satisfies any thirst you may have had for the history of Android. Oh, what's that? It doesn't? 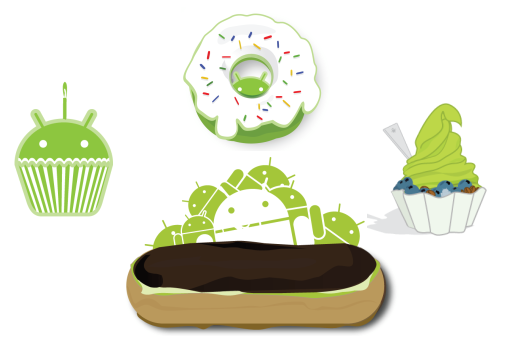 Then proceed to our very own Meet Andy: Android’s History In A Nutshell.